Fri., Nov. 9, 2018, 5 a.m. It wasn’t long before the boy named Peter Pan took flight as the star of the show, in Barrie’s “Peter Pan, or The Boy Who Wouldn’t Grow Up,” which debuted on the stage in London in 1904. But in 2004, the film “Finding Neverland” told the based-on-fact story of how Barrie befriended the Llewelyn Davies family, and how they inspired the creation of Peter, Tinkerbell, Captain Hook and the Lost Boys of Neverland. That story is now a musical, and it’s coming to Spokane to open the STCU Best of Broadway season starting on Thursday night. Jeff Sullivan stars as Barrie in this latest U.S. tour. It’s a role originated in the movie by Johnny Depp and on Broadway by Matthew Morrison (“Glee”). Sullivan admits Barrie’s most famous creation had escaped his notice as a child. His recent experience with “Peter Pan” certainly informed his audition process and how he’s taken on the role of Barrie. It helped deepen his understanding of the world Barrie created. It’s a demanding show from his standpoint, too. Barrie rarely is off stage. Music and lyrics are by Gary Barlow, frontman of the British boy band Take That, and composer-producer Eliot Kennedy, who has written for Celine Dion, Donny Osmond, the Wanted and the Spice Girls. The book is by James Graham. “Finding Neverland” ran for 17 months on Broadway with an original cast that included “Frasier” star Kelsey Grammer as theater producer Charles Frohman and veteran stage actress Laura Michelle Kelly as Sylvia Llewelyn Davies, whose four sons inspire Barrie in his writing. 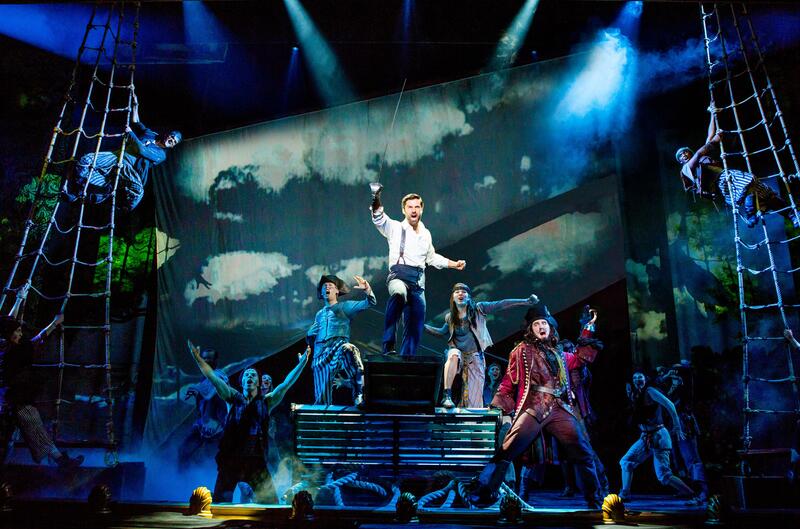 And while the story of “Peter Pan” may be beloved for its magical look at childhood, the story of “Finding Neverland” has more somber overtones. It deals with grief and unhappy marriages and grownup sadness, which one supposes is why Barrie was happy to invent a world where children do not grow up. Published: Nov. 9, 2018, 5 a.m.